Our company Fivestar Services is a family based company and has been serving the Blackpool Fylde Coast area for all there appliance needs since way back in 1976. We take real pride in what we do and strive for customer satisfaction every time. We are a company which is large enough to give you great prices but small enough to care. All our products displayed on our site are also available for you to collect from our store in Cleveleys or we will of course deliver. We have some of the products on display in our store but as you can understand with the huge amount there is, styles, models, colours, sizes etc, we can only display a certain amount but we do carry a large amount of stock in our offsite warehouse and get deliveries from our main warehouse three times a week. 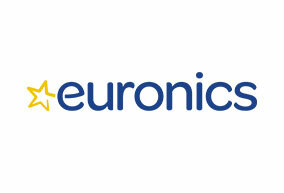 We are also part of ( Euronics ) Europe's Largest Electrical Buying Group, so we can offer you the very best prices on some of the very best brands of appliances. 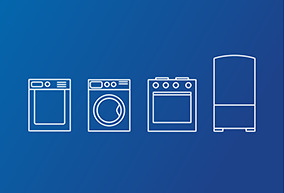 All we deal in day in day out is appliances so if you are at all unsure of what appliance will suit your needs best we are here to help, so please give us a call and our expert staff will help you make the right choice at the right price. We also have a service division carrying out washing machine repairs, tumble dryer repairs, vacuum cleaner repairs and dishwasher repairs ( freeestanding only ). We carry a very large range of appliance spare parts in store and if not in our stocks we deal daily with some of the UK's largest spare part distributors so chances are we can get what you want. Please contact us with your model number of your appliance and a description of the part you require and we will do our up most to source it for you. We can also post it to you for an additional postage charge. 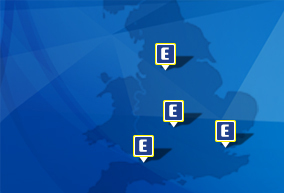 Fivestar Services - Euronics	will use this area to update our customers on what’s happening in the store as well as fantastic manufacturer offers.